One of the best experiences in life is connecting with nature. And by that I do not mean walking in the woods and smelling the flowers, but rather blazing through rough tracks and leaving a trail of dust behind you! For this to take place, a quality mountain bike is necessary. This mountain bike will have the ability to seamlessly transfer from a reliable bike that can traverse paved roads, to an unrivaled monster that can overcome any uneven path put in its way. Though most superior quality mountain bikes are very expensive, there are quite a few options for you to take advantage of when you are on a budget. 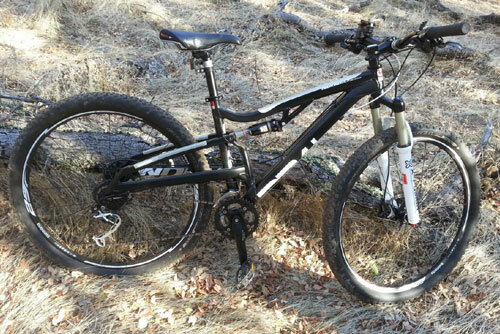 That is why below, we are going to take a look at the best mountain bikes under $1000. Like I just mentioned, there are several mountain bikes under $1000 that will offer an amazing riding experience. The bikes I have listed below offer superior performance, top notch components, excellent craftsmanship, and wide-ranging abilities. If you are looking for a reliable hardtail mountain bike which will unleash unlimited fun on the trails without burning a hole in your wallet, then the 2014 Overdrive Sport is just right for you. This 29er is crafted and formed using the sturdiest of materials, to ensure that you can triumph over any and every obstacle that comes your way. 6061-T6 aluminum alloy gives the Overdrive Sport a strong, and lightweight frame, a SR Suntour XCR Lo 29 fork provides additional comfort, a 9-speed Shimano drivetrain guarantees a range of gears, and Shimano hydraulic disc brakes ensure that you have exceptional stopping power when you breeze over outdoor trails. This 4.3 star rated beast is undoubtedly a great entry-level mountain bike, which ensures that your introduction to mountain biking is amazing, exciting and addictive. The sleek and ergonomic Big Mountain 24 is a biking innovation that seeks to combine the merits of 29-inch wheels with the affordability of 26-inch selections. Similar to the NEW IN BOX bike reviewed above, the powerful SE bike is outfitted with several Shimano components, mainly the 24 speed gears that make your riding, quick and enjoyable. The semi-integrated double butted alloy main frame makes the bike light in weight, the mechanical disc brake set with 160mm rotors makes your stops powerful, while the HL fork with 100mm travel makes your ride smooth and comfortable. What more could you hope for in one bike? We have the Nashbar AT2 Mountain bike on the list, which amplifies your adventurous spirit, whether you are hitting a path, paved road, or rough trail. This 26-inch hardtail mountain bike has a wide-ranging 24- speed drivetrain that will open up on flats and challenge hills, so that you can tackle all terrain that comes your way. The bike is also composed of a smooth Suntour fork with 80mm travel, knobby 26-inch tires; a strong and lightweight aluminum alloy frame, smooth Shimano shifters and derailleur’s, and durable and reliable Wienmann wheels. What can’t you overcome with this bike? In the mountain biking world, new hardtail bikes equipped with advanced technology will have you reach into your savings account. Diamondback has worked hard to reverse this trend, by offering economical hardtail options like the Overdrive Sport and the Axis Sport. The Axis Sport, in particular, is a hardtail marvel, offering 27.5-inch wheels that can tear up single dirt tracks as easily as they can tackle paved roads. This fast and fun hardtail mountain bike is equipped with stellar features; such as a 6061-T6 aluminum alloy frame, custom formed and butted tubing, a SR Suntour 100mm fork, a SRAM 8-speed drivetrain, Tektro hydraulic disc brakes, a Shimano Altus front derailleur, and SR Suntour XCT cranks. When you purchase the Axis Sport mountain bike, you are investing in an action-packed mountain biking future. 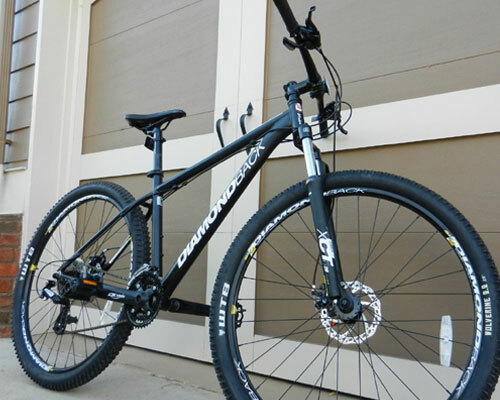 The 29-inch Response mountain bike from Diamondback is a redesigned version of the popular Response model, with advanced components and superior craftsmanship that have made it a fan favorite. This 4.4 star rated bike excels highly when it comes to performance, shredding dirt tracks and trails while withstanding rocks, roots, and uneven paths. Components of the 29er Response include a lightweight 6061-T6 aluminum frame with a machined headtube, a SR Suntour XCT fork with 100mm travel, Shimano derailleur’s, Shimano EF-51 Easyfire 7-speed shifters, 32h double wall rims, 135mm kraton grips, and MTB alloy arm cranks. 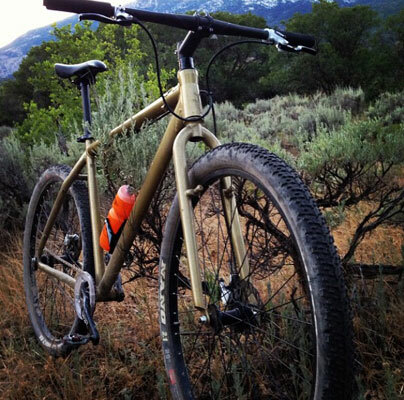 All in all, the 2014 Response is an excellent reintroduction of everyone’s favorite mountain bike. The 2018 Recoil mountain bike is a full-suspension 29er that has been designed to blaze over all trails, and terrains found outdoors. This single pivot bike is made up of several weight saving and high-performance components, which ensure that your time on the bike is as smooth as it has ever been. When you purchase the Recoil, you will benefit from a 6061-T6 aluminum alloy full suspension frame with 4-inch travel, sealed cartridge bearings, a SR Suntour XCT 100mm suspension fork, a Kindschock coil rear shock, a Shimano 8-speed drive train, SR Suntour cranks, and Tektro Aires mechanical disc brakes. Additionally, the 2018 Recoil comes with 3 size options that can accommodate riders of varying heights and size. 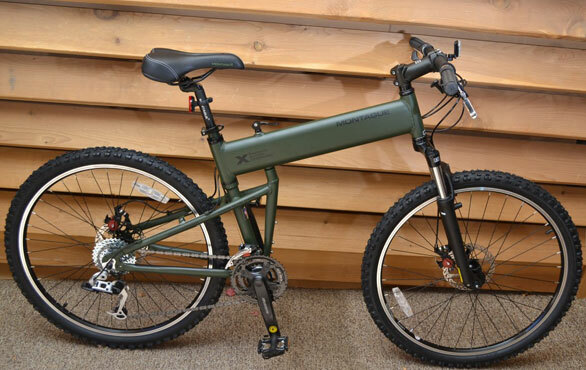 As the name suggests, the Montague Paratrooper is a rugged and intimidating military mountain bike with a patented folding design that is tougher than anything you have ever come across. This bike has been crafted to drop out of helicopters and airplanes, and land on the ground in the center of combat. The 26er is outfitted with the most advanced features, which make it perfect to tackle all terrains that other bikes cannot overcome. The Paratrooper is composed of 24 speeds, front and rear Promax mechanical disc brakes, a SR Suntour XCT suspension fork, knobby CST tires, 32h double wall alloy rims, and an aluminum frame with a FIT system. If you are a serious rider who is looking for a compact and portable mountain bike that will take all trails head on, the durable and affordable Montague Paratrooper is the right pick for you. The FSX 1.0 dual full-suspension mountain bike from NEW IN BOX is a 26-inch entry level gem that will knock your socks off. This attractive bike comes in 15 inch, 17 inch, 19 inch, and 21 inch sizing options, so that everyone who loves biking can have a chance to take out this bike. This great break is more superior to any other department store bike, comprising of the highest quality Shimano components available. The most notable feature of the FSX 1.0 dual full-suspension bike is its’ Shimano shifting technology, which makes use of an innovative aluminum frame with CantiBeam SinglePivot technology for swift and smooth riding. This powerful and adjustable bike has set out to revolutionize the way we bike, and I believe it has succeeded. 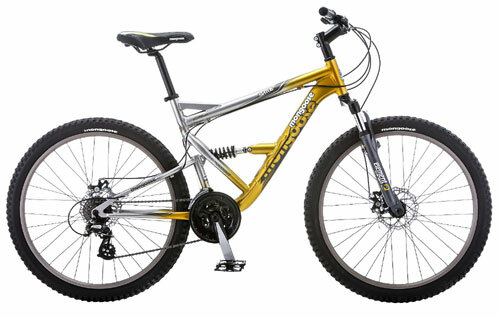 No mountain biking list is complete without the entry of a Mongoose, and that is where the 26-inch Status 3.0 dual suspension mountain bike comes in. 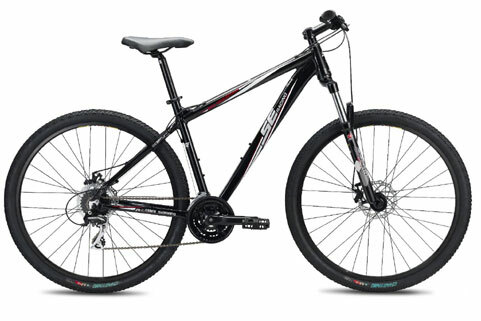 This 26er is designed with all the features needed for a successful trail ride, including a sturdy and comfortable full-suspension frame, a SR suspension fork to smooth out the rough trails below you, a Shimano rear derailleur and 24-speed Shimano trigger shifters for lightning-fast gear changes, and front and rear disc brakes for powerful stopping in dry, wet and muddy conditions. And let us not forget that this excellent starter bike has been top of the line cranks, pedals, rims, hubs, and a headset, so that you riding style is complemented and supported all day long. The BEIOU is a high-performing mountain bike, which has dramatically dropped in cost from $5,999 to $999 in order to make it available to a wider audience. This 26er is made up of an exceptionally lightweight carbon- fiber frame, which contributes to the bikes ease of handling and high performance. There are 3 body size options found with this beautiful bike, including 15 inch, 17 inch, and 19- inch selections for riders of different sizes and heights. When it comes to gearing and brakes, the bike is composed of 27 gear speeds, Shimano hydraulic braking, and an aluminum alloy pneumatic front fork. When you consider the 31.6 mm seat post, you have a lightweight and comfortable mountain bike that will take on any trail in its sight. If you are looking for value for your money, you will not find yourself a better deal. Before you take the dive and purchase a mountain bike for your outdoor adventures, here are a few things you need to consider. The first and most important consideration to make before buying a mountain bike is whether you want a hardtail bike or a full-suspension bike. 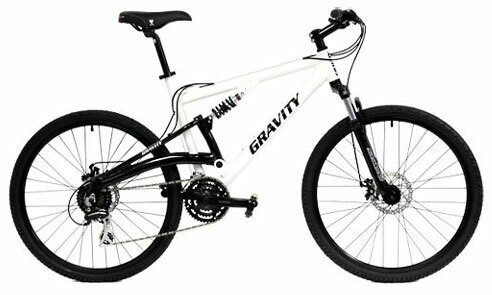 A hardtail bike is composed of a front suspension fork, which works to reduce arm and hand fatigue, improve steering, and maximize control on rough trails. This affordable option is great for entry-level riders who occasionally tackle rough trails. 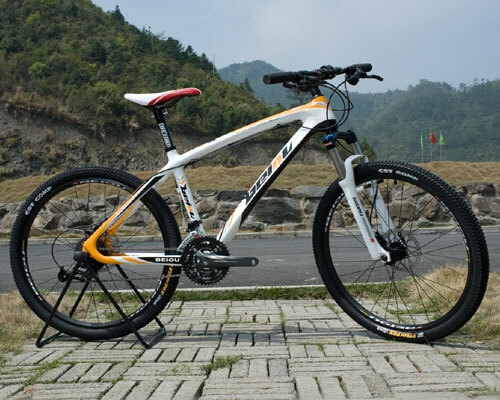 If you are looking for a more advanced bike, then the full-suspension bike will be great for you. 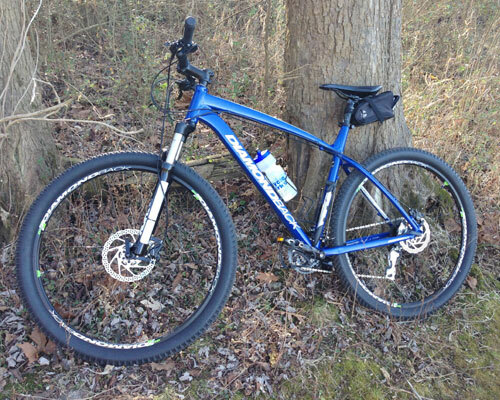 This bike has suspension on both its front and rear wheels, making it more comfortable on dirt trails. Though it is more expensive, it offers greater control while reducing strain on your arms and legs. Once you have decided whether you want an aluminum, carbon, steel, or titanium frame, you will need to decide which components you want attached to your bike frame. Components include a drivetrain (front chainrings, crank arms, derailleur’s, chains, rear cassette, gear shifters), brakes, suspension, and wheels (hubs, rims, spokes, axles.) An individual on a constrained budget will get a bike with an aluminum frame and low priced components, while an individual with a big budget will get a carbon-fiber frame with top of the line components. As you can imagine, durability and function increase with price. P.S. SRAM and Shimano are the most accepted component suppliers. As I mentioned earlier, there has been great debate over whether 29-inch wheels are better than 26-inch wheels. You can choose a 26er mountain bike if you are not tackling rough terrain, however, if you want greater traction and momentum on tough trails, then the larger 29-inch wheel size will suit you better. If you are lucky, you will come across a 27.5-inch bike which is the best of both worlds. Last but not least we have the budget, which informs all the decisions you make as a buyer, as well as all the possibilities open to you during the selection process. Luckily, an advance in technology means that you can find an affordable bike with incredible function. For under $1000, you will find so many well-functioning hardtail bikes with basic but good-quality components, which can take on moderate terrain. Being on ride with soft drinkable water is the most enjoyable thing riders expect, and you can fullfil this expectation with the budget mentioned! We have now come to the conclusion of an extensive and informative guide to choose best mountain bikes under 1000 budget range. 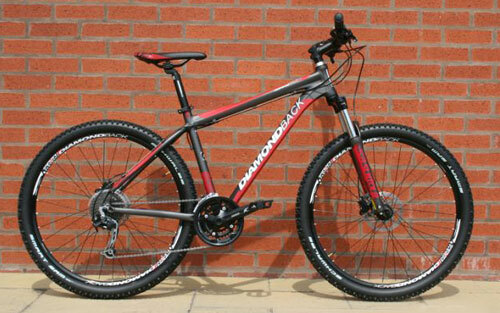 A word of advice; buying a mountain bike is an investment which should not be taken lightly. Spend time reading reviews and talking to an expert, so that you do not regret your final decision!